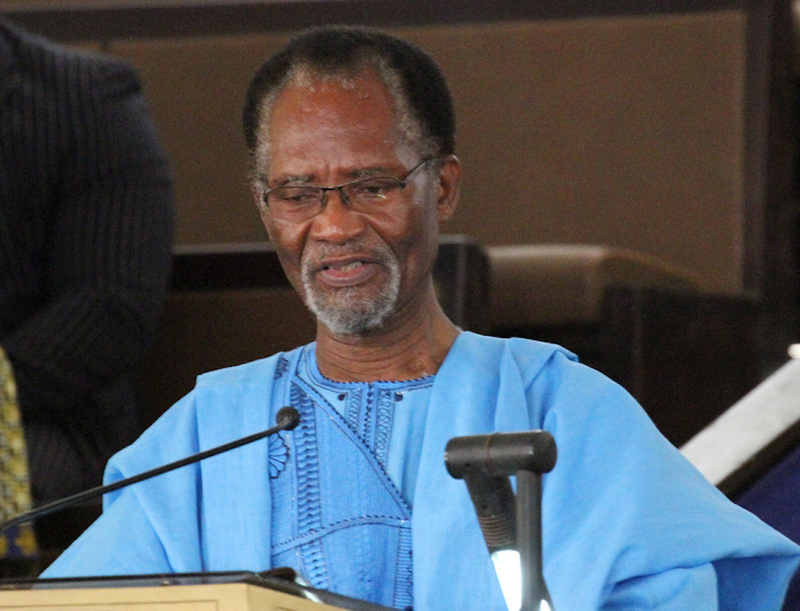 Now that Atukwei is gone, there can only be one question for all of us — what will happen now to PAWA? What is our future going to be? The right answer is what will constitute a befitting legacy to the man’s memory. From Kofi, it could not be a prank. Yet the 13th of July, for most of us in the arts, is normally a day of rejoicing. It is the day we celebrate Wole Soyinka’s birthday, and through that, the often-neglected beauty of literature in the human community. In any case, birthdays, I have always asserted, are not for dying! So the news, I said, sent me into prolonged numbness. Not again, I pleaded in desperation! It has been just too many fatalities of late. Too many friends have been leaving, too many loved ones departing, all pointing frighteningly — as our Yoruba elders remind us — to our own impending mortality. Is this how we shall all go then, abruptly, with so many dreams still unfolding, still budding, unhatched, in our pockets? Atukwei was a bundle of lofty dreams and tall ambitions. He put his footsteps down in tall strides and bid others follow as he sought with uncommon zeal and tenacity to drive those dreams to fulfilment. That was the secret of his infectious devotion to the Pan African Writers Association (PAWA). But I had met him before PAWA, through his poems. The unusual logorligi lines and unconventional asymmetric rhythms were creating quite a stir, most of it hostile then, among the public. But I saw them as representing a fascinating, novel experience in the creation of modern African poetry in English, an audacious attempt to (re)capture the primal beats and cadences of traditional oral poetry in the syntax and acoustics of our acquired European languages. After I had pointed this out and forcefully defended it — in my essay, ‘The Nostalgic Drum’ (RELS, 1978) — Okai’s poetry began not only to receive more sympathetic attention, but also to spawn enthusiastic acolytes. And we became friends. Needless to say, the friendship entered a new phase of attachment when, in 1989, PAWA was formed, and he became its executive secretary-general, while I was elected the vice-president for West Africa. From that moment, Atukwei could be nothing else. PAWA became virtually synonymous with Atukwei and Atukwei with PAWA. My friend took to his role with complete fervour, such that it became a life vocation. When, after some years in office, I told him of the need to quit our posts and bring in new blood, and consequently sent Ken Saro Wiwa, my successor in the Association of Nigerian Authors (ANA), to replace me, Atukwei was unflinching. Calmly he sent Saro Wiwa back, explaining that, according to the agreed regulations of our organisation, PAWA officers could only be replaced by a vote of the general assembly. Yet all attempts to summon a general assembly since that initial gathering have failed woefully for all kinds of reasons! Does it mean then that those initial representatives are doomed to stay in office forever, even against their will or competence? Sadly the question was not resolved in Atukwei’s lifetime. But one of the reasons the problem remained unresolved was quite clearly the fact of Atukwei’s personal efficiency, dedication and doggedness. Almost single-handedly, he kept the organisation going. PAWA is a creation of the Organisation of African Unity, but of all the governments comprising the continental body, it is only Ghana that sustains it with regular funding. And it does so no doubt because our secretariat is located in its capital Accra, but mostly because Atukwei is able to use his personal energy and the considerable influence he has garnered in the country over the years to sway his government. By ceaseless advocacy, Atukwei also got some other governments — e.g. Libya, Ethiopia, Cameroun, Guinea, and recently, Nigeria — to meet their commitments, but only spasmodically and erratically, sometimes even to the embarrassment of their PAWA’s members. But Ghana has given us a Secretariat, as well as a diplomatic status, and some annual budget. It is in Ghana that one prestigious hotel after another, in response to the hypnotic oratory of our executive secretary, has agreed to host our annual meetings at no or minimum cost to the financially crippled organisation. I am not sure now just how well this pecuniary situation sat with the personality of Atukwei himself. Certainly he enjoyed the position of executive secretary and did not wish to relinquish it. He relished the benefits in terms of travelling, meeting writers all over the continent and beyond, basking in the privileges of diplomatic preferment. In return, he gave his full service to the cause of the organisation as he understood it, defended his colleagues as passionately as he could, especially from the hammer of intolerant governments, and was unrelenting in organising the Writers’ Day celebration that the OAU itself set aside for it. Our last journey together in fact was to Malabo, in a bid to get the Equatorial Guinean government to fulfil its promise to host the next Writers’ Day in November. Regrettably, we failed in that quest. Adieu, grand Organist. I thank you for having been my friend and my brother. Femi Osofisan is one of Africa’s most prominent dramatists and theatre practitioners.